Place the cabbage and salt in a bowl, mix well and knead until you have a lot of juice (approx. 15 mins.). 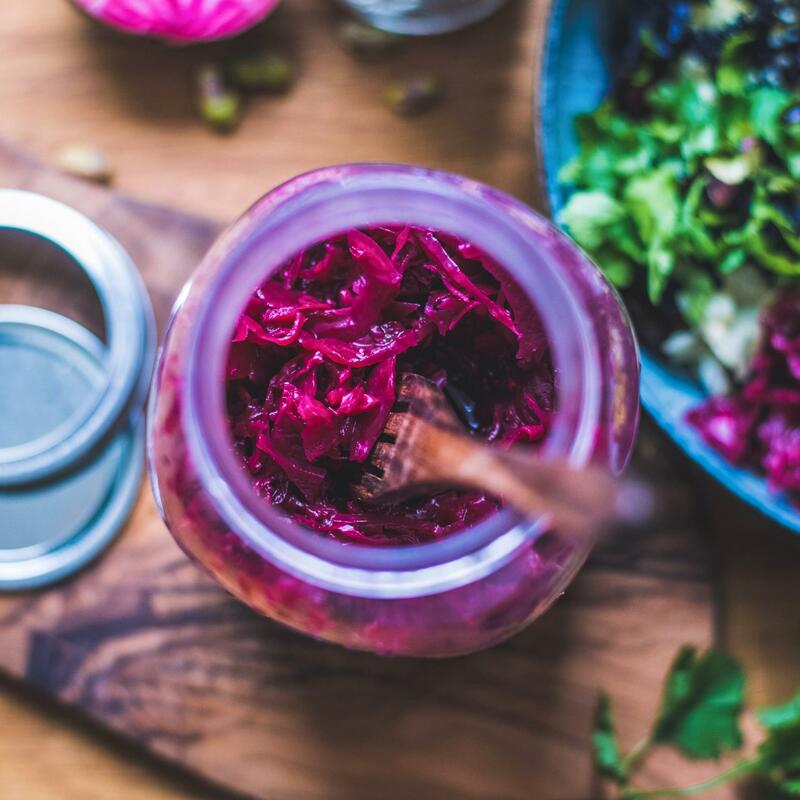 Transfer the cabbage to a very clean jar that has been rinsed with hot water, press down firmly so that the cabbage is completely submerged in the liquid. Weigh down with a plastic bag filled with water or dried beans (the bag remains in the jar until the sauerkraut has been used up). Screw the lid loosely onto the jar so that gas can still escape. Place the jar in a bowl as fermented juice may leak out. Leave the jar in a dark place at constant room temperature (18-21°C) for approx. 3 days. After 3 days, briefly remove the lid to let out any gas. The vinegary smell is a sign that fermentation is under way. Seal the jar tightly and leave to ferment in the fridge for approx. 3 weeks. N.B. : Remove the lid every 2 days to release the gas. Then seal the jar tightly again and return to the fridge. After 3 weeks, the sauerkraut will be ready to eat and can be enjoyed raw or cooked. Do not use iodized salt! Iodine prevents lactic acid bacteria from multiplying.